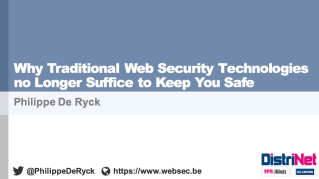 The slides from an overview presentation of how the Web, and Web security, have changed in the last few years. This talk has been given at various public and private venues. Get in touch if you want to invite me to your company or tech group!